Don’t ask me why I have been drawn to packaged flan lately. I know – it’s just asking for trouble. Still, in a taste-off between two processed, mass produced versions of a dessert that was just not designed to sit for months in the refrigerated aisle, there is a clear winner. Goya’s flan was too sweet and had an overly burnt top layer, but it nevertheless retained the general taste and contours of flan. 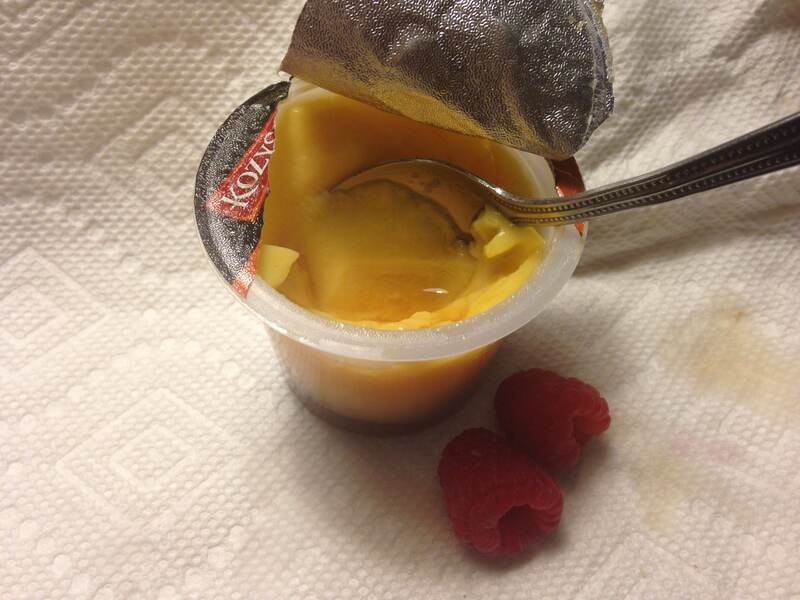 Kozy Shack’s flan, however, was indistinguishable from paste. It tasted like flavorless Kool-Aid and had the consistency of Jell-o. Just in case you ever get a hankering for flan and, like me, are too lazy to make it yourself or to find a restaurant in which to purchase it…FYI Goya’s is the lesser of the two evils.